1. Al the cabinets are wrapped in a solid timber frame which the doors sit flush into. 2. The plinth (kicker) can be reduced in height and stepped back from the front edge of the cabinet. This enhances the free standing look while still sealing the underneath of the presses. 3. Or if you prefer to have no plinth stepped back we can run a decorative moulding across the front of your cabinets. 4. Door style: The door style can be customised by each client to create a unique look which you won't find anywhere else. In the Burnaby kitchen the client liked the Plain English Kitchen framing option, but wanted a door with a little more detail than the plain shaker panel door. With this in mind, we designed and manufactured a door with a little beading inside the panel, and a subtle edge moulding that gave the Plain English Kitchen a beautiful contemporary feel. 5. 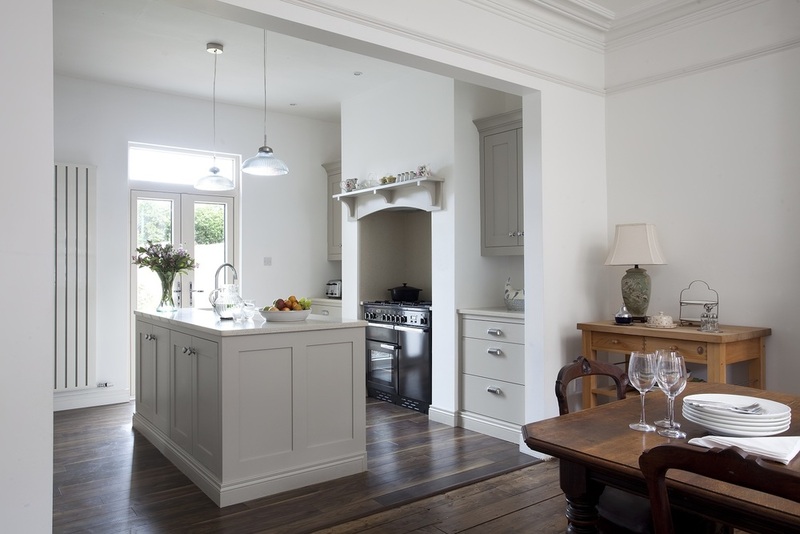 The essence of a Noel Dempsey Plain English Kitchen is the simplicity of its design. Keep it plain and simple, not too many grooves and places for dust and dirt to gather. While I can't give away too much information about how we manufacture our Plain English Kitchens, all I can say is that our skilled craftsmen use traditional joinery techniques combined with our modern tools and machinery to manufacture the highest quality furniture. 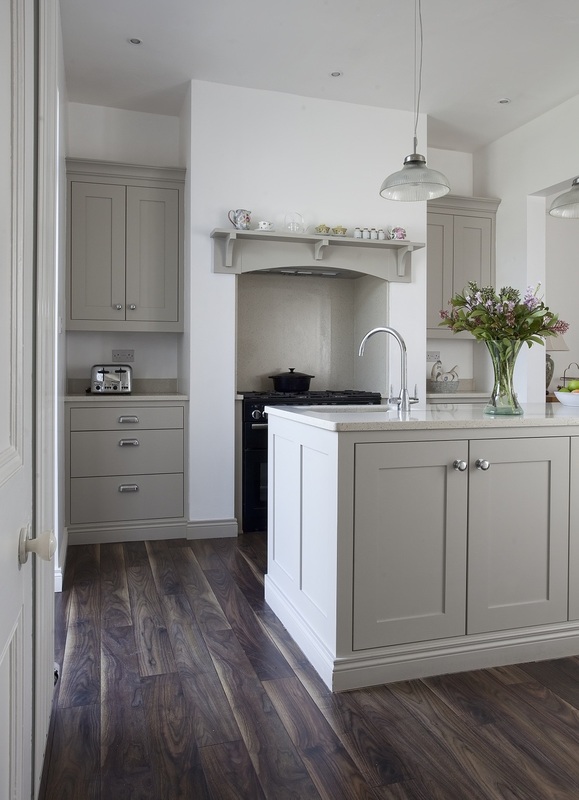 When you choose a Noel Dempsey Kitchen you will receive a level of service and attention to detail that you won't find anywhere else. Your new kitchen can be customised in hundreds of ways to create an individual design that will suit you and your families lifestyle.